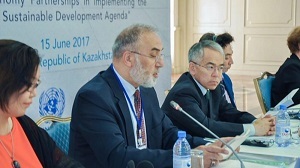 The Second Regional Networking Forum for the Arab States, Europe and the CIS on South-South and Triangular Cooperation was jointly organised by SESRIC, UN Office for South-South Cooperation (UNOSSC), Islamic Development Bank (IDB), United Nations Development Programme (UNDP) and a number of other key regional and global stakeholders on 15 June 2017 in Astana, Kazakhstan. 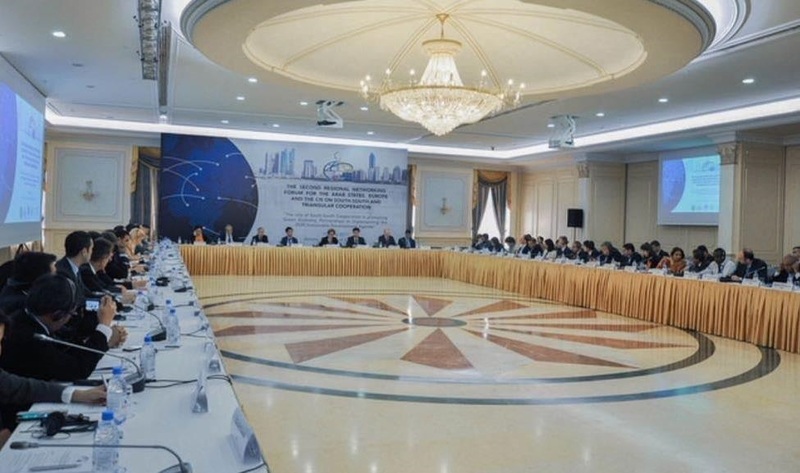 The Forum was hosted by the Ministry of National Economy of the Republic of Kazakhstan with the support from the Regional Hub of Civil Service in Astana and within the framework of the Astana Economic Forum. 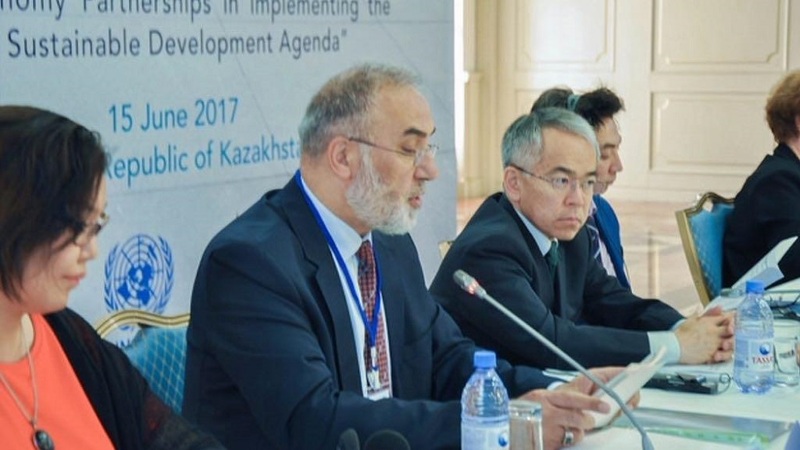 The overall objective of the Forum was to create an open and conducive knowledge sharing setting aimed at supporting the participants in further improving their understanding on the trends and opportunities on the way towards advancing South-South and Triangular Cooperation in the Arab States, Europe and the CIS. 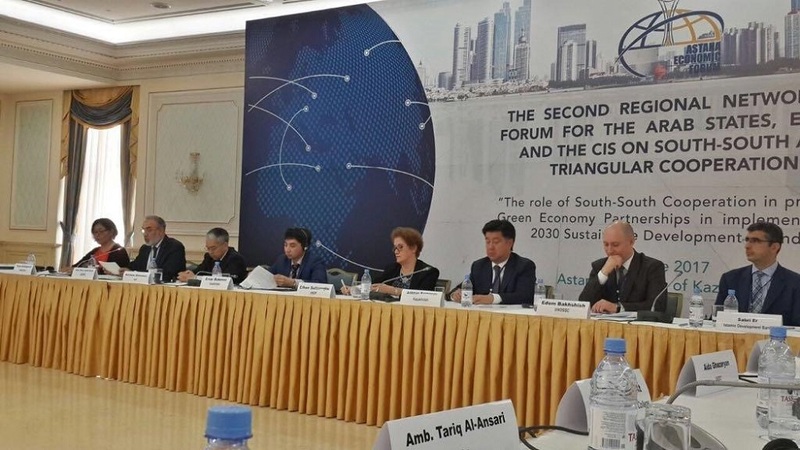 The more specific thematic focus of the Forum was on the role of South-South Cooperation in promoting Green Economy partnerships in implementing the 2030 Sustainable Development Agenda. The forum also served as a platform for international dialogue that enables constructive discussion on the overarching theme of “New Energy –New Economy” concerning the changes witnessed in the global economy. Speaking during the opening ceremony, the Director General of SESRIC Amb. Musa Kulaklikaya highlighted the crucial role of South-South cooperation in contributing to the development results of developing countries through a variety of flexible cooperation modalities, including knowledge exchanges, technology transfers, financing, peer support, and neighbourhood initiatives, as well as countries forming common development agendas and seeking collective solutions. He further stressed the need work for development without degrading the environment as highlighted in the landmark Paris Agreement on Climate Change.